Early last year I compiled a head to head feature pitting the venerable Jetboil Flash against the recently released MSR Reactor 1.0L System. The outcome garnered a lot of polarized feedback––as I knew it would. The Jetboil is a great product with legions of loyal fans, but that didn’t preclude me from giving the edge to the MSR Reactor. With a full season of adventures in the books, it’s time to fill out the report card and see if my initial impressions still ring true. It’s perhaps a bit misleading to say the Reactor 1.0L System is “new.” MSR released their first Reactor 1.7L System in 2007, and it would be fair to say it was greeted with mixed reviews. The most common grievance was the price. I’m apt to dismiss that minor grouse as value is subjective, but mostly because I believe the build quality warrants the higher price. The other gripe with the first Reactor was the size. At 1.7 liters of volume, it was not light, nor small. True to the name, MSR reacted to that criticism and launched the smaller, 1.0L system. The Reactor 1.0L System is unlike anything else on the market. The radiant burner does not produce an exposed flame, and disperses the heat source over a larger area for maximum efficiency. The pot features an intricately designed heat exchanger for optimal heat transfer, and also protects the burner from wind. In use, the Reactor 1.0L System has been flawless. Lighting the burner is strait forward, although it does require a separate ignition source, not that I’ve found that to be negative. Once ignited, the burner does require roughly thirty seconds to prime itself, but it doesn’t need any fiddling to achieve full burn. With the flame throttled up to full blast, the radiant burner glows red with an impressive display of heat. One of the best attributes of the Reactor 1.0L and all the other Reactor systems is how the pot interfaces with the stove. There’s no need to line up any connecting points, or twist the pot to lock it in place. You simply rest the pot on the burner and it slots into position with authority. It’s a one-handed operation, easy to do in the dark or with gloved hands. I also greatly appreciate the inclusion of an actual pot handle and pour spout. It simply makes pouring hot fluids easier and frankly––safer. The lid also accepts a French press accessory, which is the best of its kind and built to last. The well designed heat exchanger is not only very effective, it’s ruggedly built. With the pot in place and the burner at full roar, the Reactor can bring half a liter of water to a boil in just 90 seconds. It can also achieve a boil in surprisingly adverse wind conditions which would stimey most other stoves. 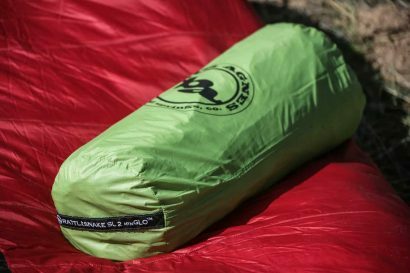 On a bikepacking trip last spring, the Reactor proved it could boil water quickly in winds gusting up to 20 mph with minimal shielding of the stove. This brings us to the consideration of brass tax. Anytime there is a discussion of price, it’s always important to include the assessment of value. Is the MSR Reactor 1.0L System worthy of the $189 asking price? Based exclusively on performance, I’d say no. If we were just talking about boil times, fuel efficiency, or even ease of use, other stove systems are likely a much better value. 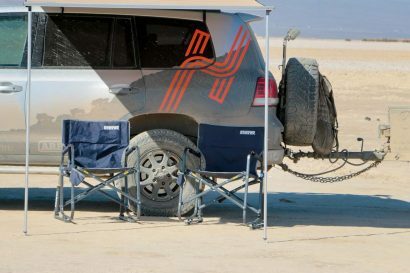 I would however not dismiss the value of the Reactor overall, and here’s why: It’s not just expedition grade, it has the versatility needed to meet the varied demands of expedition travel. The Reactor burner is compatible with all three sizes of pots available from the 1.0 liter pot to the 1.7 and 2.5 liter pots. 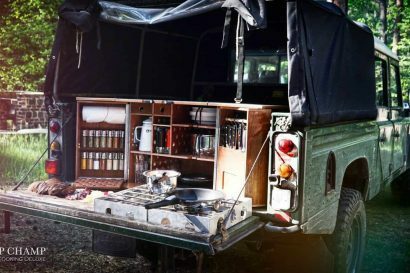 It can also be used as a hanging stove with the hanging kit. I’ve found this to be a handy feature when the ground is mucky or snow covered. If anything, the value proposition sits well with me simply based on the robust nature of the system. This is a solid piece of equipment. The pots alone are superior to anything else available in this category of stove systems. 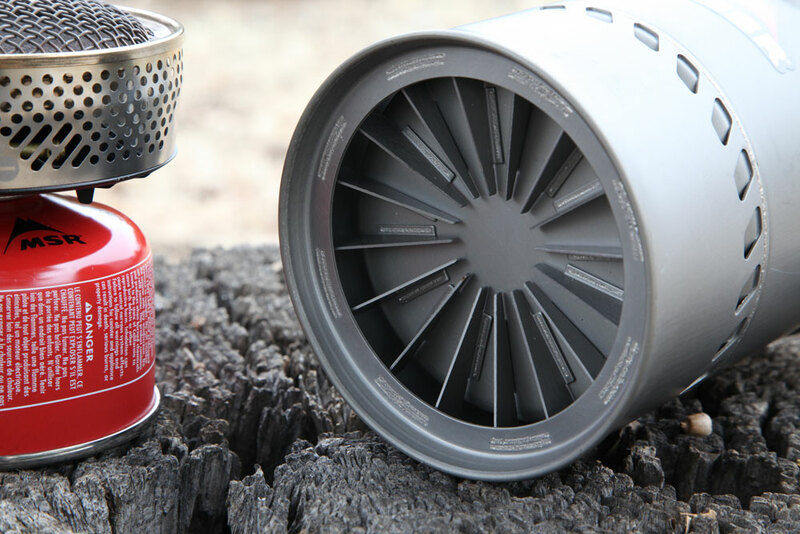 The can features a very smart method for measuring how much fuel remains in the canister. Simply float the fuel can in water and follow the chart. As is so often the case, even great gear has a few niggles to consider. The most obvious to me is the fickle simmer. The Reactor requires constant attention and masterful control to maintain a good simmer. It did pass my rice test, but it was touch and go, and I’d rather not make a habit of using the Reactor for precision cooking. My one genuine complaint with the 1.0L System is how the burner and smaller fuel can fit in the pot. 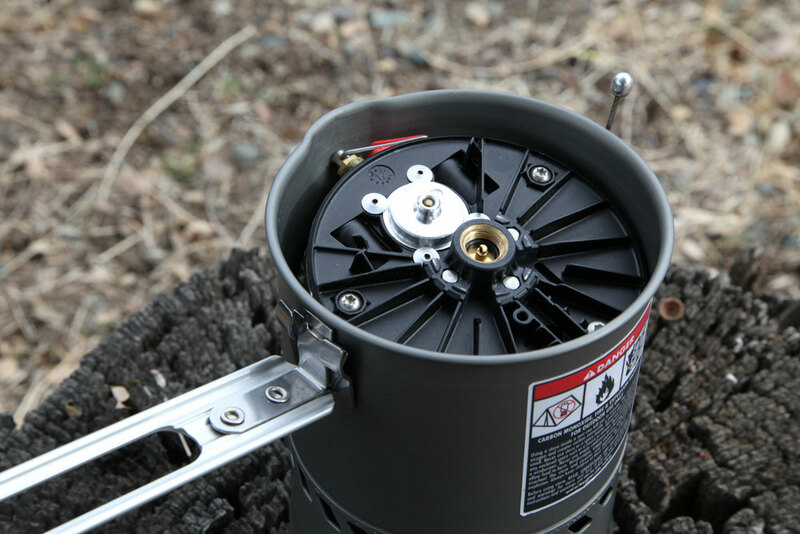 With the larger 1.7L System, the burner and 8 oz fuel can slip into the pot like two peas in a pod. With the smaller 1.0L System, the burner barely fits with the 4 oz can. If they go in together reluctantly, they come out with aggravating resistance. There are some tricks to make it less annoying, but it would have been great if MSR made the pot diameter bigger by even just a couple millimeters. The system comes with a small piece of PackTowel to pad the stove. Some have suggested placing that under the stove to help extract the burner when needed. I find I still struggle to get the stove out, but that’s a minor complaint. After a dozen backcountry trips throughout the year I can say the Reactor 1.0L System has proven to be one of my favorite products of 2013. 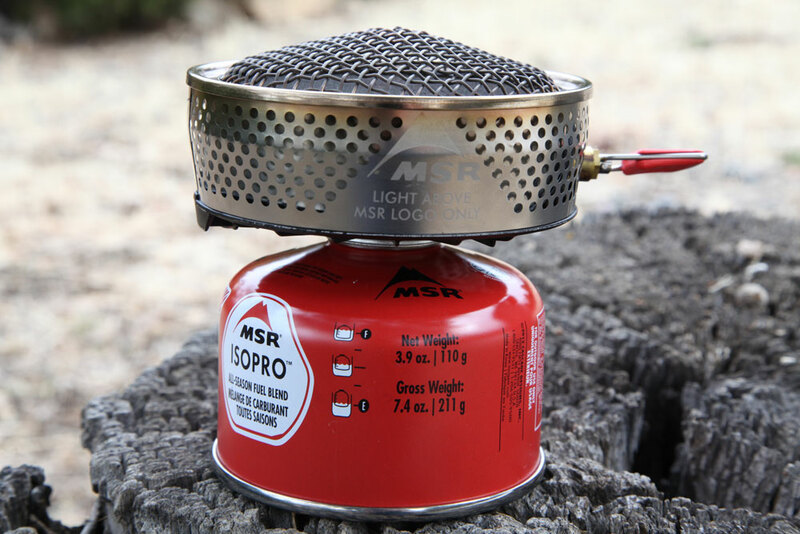 It’s solid, efficient, easy to use, versatile, and true to the MSR brand––reliable. I’ve found it to be a great tool for motorcycle travel, bikepacking, backpacking, and general backcountry travel. I’m glad I really like it––it’s going to be with me for a very long time. 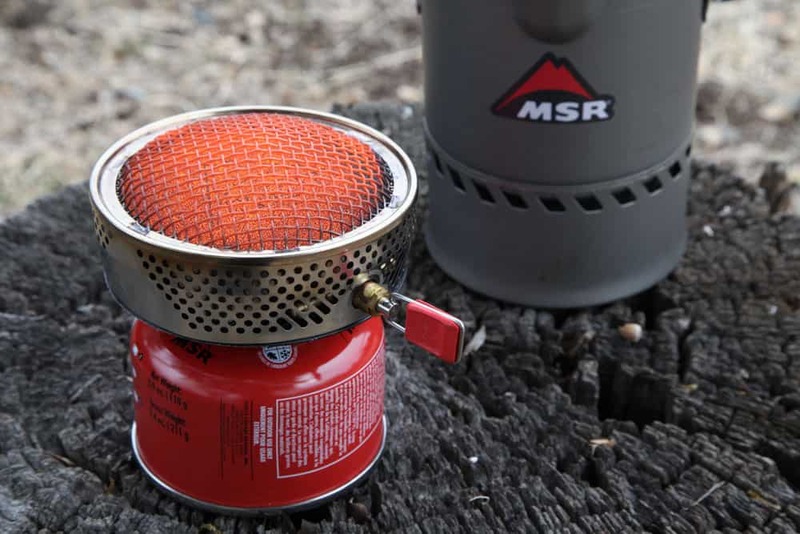 MSR has a great write-up on radiant burners. You can read that HERE.